A visit to the dentist is often that thing you keep in the very back of your mind. Maintaining oral health by making regular visits to the dentist isn’t exactly on the top of everyone’s “to-do” list. In fact, going to the dentist can at times, be something we push under the rug and delay. In the grand scheme of things, 6 months goes by quickly. You may be wondering why it’s necessary for you to visit the dentist that often. Even if you take good care of your teeth by brushing and flossing regularly, there will still be hidden build-up of plaque and tartar after a few months that simply cannot be brushed away. Our dentists and oral hygienists are professionally trained in providing you with a thorough and effective cleaning technique called scaling. This is the part of the appointment where you are often poked with ultrasonic tools to remove tartar. Not only does plaque contain harmful bacteria that can negatively affect your teeth and gums, but it also contributes to bad breath. While scaling may induce some momentary discomfort, it is an amazing technique for banishing any build up surrounding your teeth. There are some things that your floss and toothbrush just can’t reach. The more plaque and tartar builds up in your mouth, the more likely you are to gain cavities. While eating healthy and taking good daily care of your teeth play a major role in this, so does visiting your dentist every 6 months. Our dentists can provide you with cavity-fighting treatments as well as a great cleaning. Visiting our dentists bi-annually means that you can have x-rays done at least once a year. These x-rays are what show whether you have new cavities or not. Dentists look for a variety of oral health issues during a cleaning appointment. 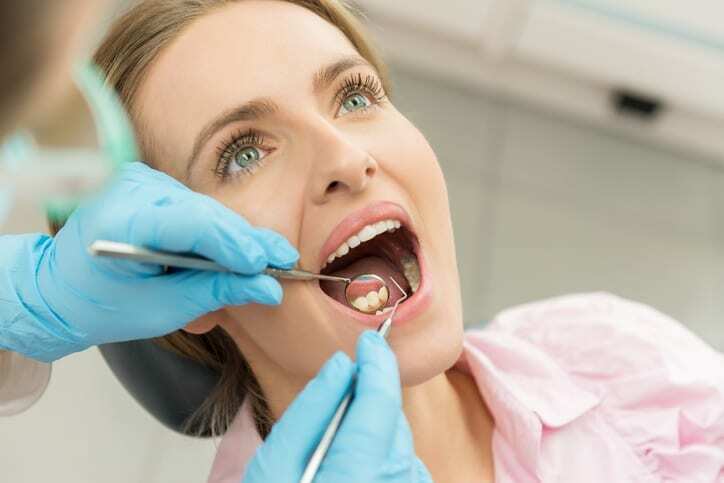 Not only do they check for signs of gum disease, tooth decay and cavities, but they also check for additional health issues that may be unrelated to your mouth. Osteoporosis – A key indication of this condition is a receding gum line and loose teeth. Diabetes – Those suffering from Type 1 or Type 2 have a more difficult time fighting bacterial infection in the mouth. Oral cancer – Signs of oral cancer often start small and in many situations, are only noticeable to your dentist. Acid reflux – Enamel erosion along back molars is a main sign of acid reflux and can be spotted by your dentist. 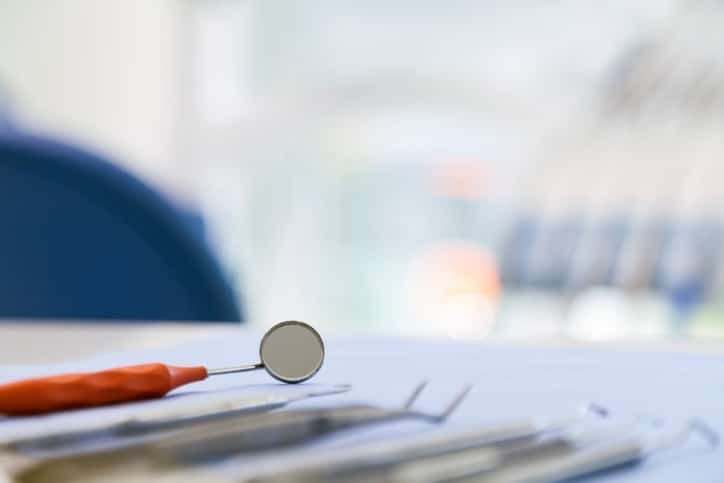 Bi-annual checkups give you the opportunity to chat with our dentists and oral hygienists about any dental health concerns, issues or symptoms that you may be having. They will be able to outline treatment options, help reduce your worry or pain and give you advice on how you can better maintain your dental health in-between your bi-annual visits. By speaking about your concerns, you may stop an issue from growing any further. While there are multitudes of products that can whiten your teeth, there isn’t a substitution for all the benefits that come from keeping on track with your bi-annual cleaning appointments. These checkups are the best way to ensure your gums and teeth are healthy and looking great. You’ll even get a fresh polish and shine at the end of your appointment! If you are unhappy with the appearance of your teeth, speaking with our dentists can also give you a chance to learn about different cosmetic options such as braces, Invisalign or professional whitening. If it’s been a long time since the last time you had a cleaning appointment, our incredible staff at City Square Dental in Mississauga are ready to help in any way that we can! 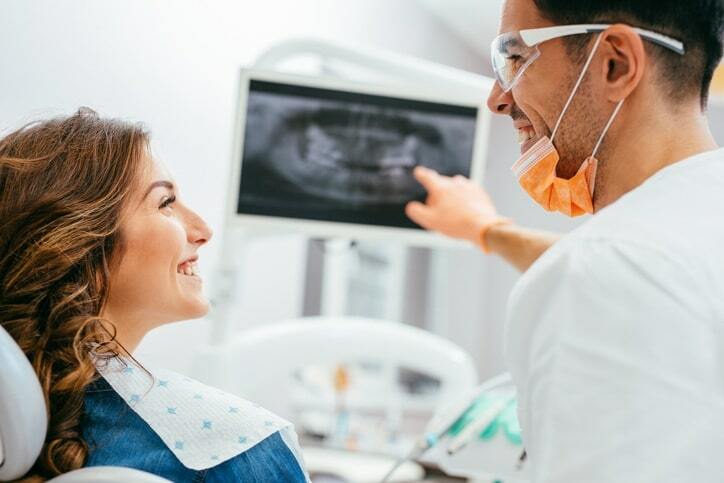 We can provide you with a thorough cleaning, digital x-rays, examination for signs of cavities and a discussion of your overall dental goals. We are happy to help you get back on track and achieve the best oral hygiene possible. City Square Dental is ready to assist you with the best dental care. With our highly skilled dental and patient services, we can assure you that your teeth will be in the best hands. For all your dental needs, we offer high-quality cleaning, dental emergency services, dental implants, teeth whitening and dental veneers. We promise that your teeth will feel and look good after a routine visit. To learn more about our exceptional dental service team, our patient services or to book an appointment, visit our website.